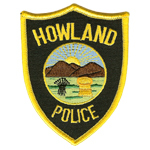 "We would like to welcome everyone to the Howland Police Department website. We also invite you to browse our site and learn more about our department and its efforts to serve the residents of Howland Township. You can also visit our Facebook page by clicking here! By establishing a communication link with the community we strengthen our community partnership and enhance the safety and well being of all our residents." Our commitment is to serve the community of Howland in a collaborative effort to enhance the quality of life through crime prevention, enforcement of laws, promotion of safety, and reduction of fear. Our Past The beginning of the Howland Police Department dates back to its creation in 1961. The township trustees authorized the creation of the department and hired several part-time constables to protect the citizens of Howland. These first officers laid the foundation for the future of the department. Over the years the department has grown to its current personnel roster of Chief and Assistant Chief, 18 officers, 1 part-time officer and 1 administrative assistant.